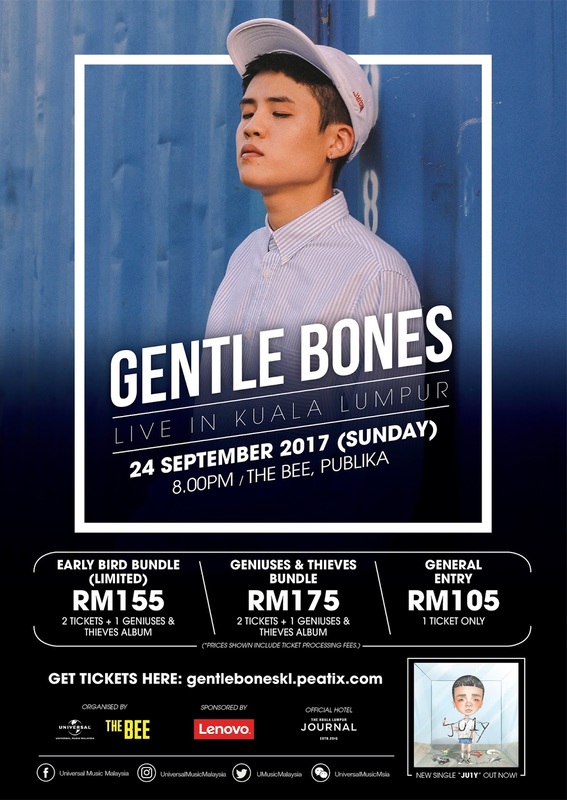 One of the current hottest and hippest music act, Gentle Bones is finally coming over to neighbouring country Malaysia for the first time ever. 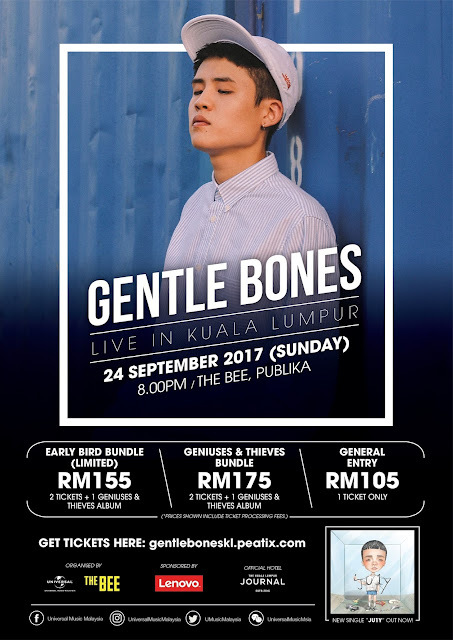 Often dubbed as the Singaporean Ed Sheeran, the talented performer will be coming to Malaysia for a showcase as part of his promo tour this 24 September 2017 at The Bee, Publika. The upcoming tour is in conjunction with the release of his brand new single “JU1Y”, which was released yesterday on 18 August 2017. 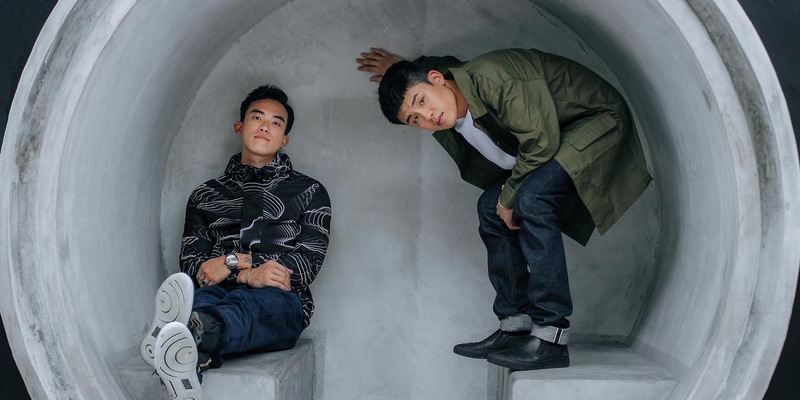 The track is a collaboration between Gentle Bones, whose real name is Joel Tan, and another fellow Singapore MYRNE, a DJ and record producer. 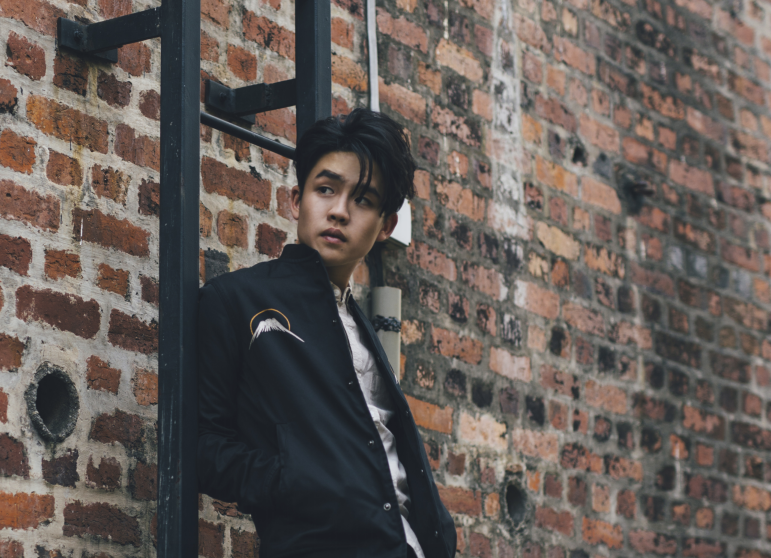 The 23-year-old singer-songwriter started his music career at 16-years-old, and today, he has become one of Asia’s more urban and prominent artists. Throughout his career, Gentle Bones has already accomplished more than many musicians can hope for in their careers, such as winning the Hong Kong Asian-Pop Music Festival 2016 Supernova award, being the first Singaporean artiste signed under Universal Music Singapore, having two sold out concerts at the Singapore Esplanade Concert Hall, and more. The talented performer was also featured in the inaugural Forbes 30 under 30 Asia list, alongside BIGBANG’s G-Dragon, Super Junior’s Choi Siwon, “My Love From The Star” actor Kim Soo Hyun, and Malaysian darling Yuna. Tickets for the show are available at gentleboneskl.peatix.com ranging from RM105 to RM175. Ticket sales starts on 21 August 2017.